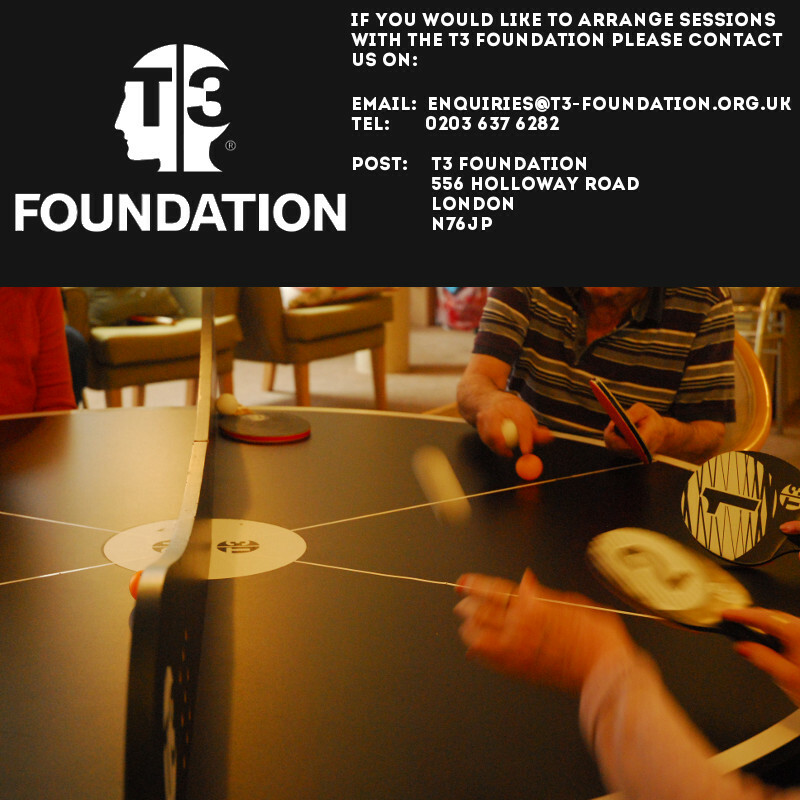 The ‘T3 Foundation’ is a not-for-profit, set up to help improve the health and well being of our elderly, through 3-a-side ping pong.In particular for those who already live with Alzheimer’s and dementia. The nature of T3 Ping pong means that through one simple activity, even those in more advanced stages can benefit socially, physically and mentally. FREE T3 Table for a Care Home near you! As you know ping pong has proven to be the brain sport for many individuals living with Alzheimer’s and dementia. As part of Dementia Week, 14th – 20th May, we are launching our ‘T3 Bounce Back’ campaign. More information on our Donate page! If you would like to be a sponsor or nominate a sponsor then please click here. 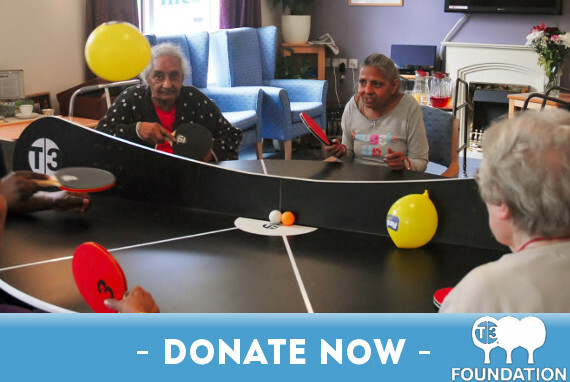 Help us to reach our goal of £5,000 to run our weekly community T3 Ping Pong club!